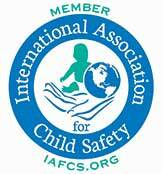 We have come to realize that the best way to begin safety proofing/childproofing your home is to see things from the perspective of a child, and allow your baby or toddler to safely explore their world by eliminating as many of the causes of accidents as possible. So by getting down on your hands and knees, you’ll be amazed by the variety of potentially dangerous red safety flags you encounter, including ignored pins, paperclips, rubber bands, plastic bags and coins from unattended purses that could be lethal if swallowed. Not to mention countless areas that can turn innocent curiosity into disaster by electrical shock, choking, strangulation, and drowning. Home Safe Home Childproofing insists that you be satisfied with the childproofing and safety proofing services we provide to new parents and grandparents, families with pets or those with special needs, and multi-generational families that have decided to make it easier to “age in place”. Did you know that according th the National Association of Home Builders (NAHB), the same organization that provides “certified aging in place” (CAPS) accreditation, 9 out of 10 adults plan to stay in their own homes as they age. And Home Safe Home Childproofing along with their Generational Safety Solutions can allow people of all ages and abilities to continue living at home as comfortably and safely as possible. We know the value of referral business, and we strive to perform our duties with an attention to detail you’ll admire! No job is too small, or challenge too great to tackle. 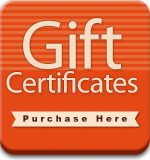 And we are your source for Gift Certificates, for all occasions, for that unique way to remind friends that you are safety minded.